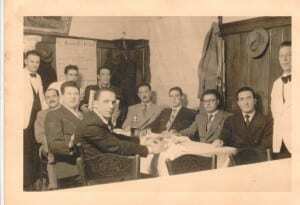 Nicolò Barbini was born in Murano on May 5, 1903, son of Vincenzo Barbini and Anna Fuga. He was the fifth child of eight siblings (five boys and three girls). His love for the art of glass, inherited as part of his family’s DNA, was passed down to him by his father Vincenzo and paternal grandfather Giovanni, both of whom where master glass masters specialized in the creation of famed Conterie beads. It was from them that Nicolò learned his first tricks of the trade and inherited his attraction to glass as an artistic medium, a passion that would ultimately characterize all his future production. After attending elementary school, Nicolò, like all of his brothers, frequented the School of Design for Artisans and Glass Masters of Murano, founded by the Abbott Vincenzo Zanetti in 1862, studying under the guidance of prof. Urbani de Gheltof. Nicolò cultivated a passion for painting for the whole of his life and his love for glass reached its summit in the art of engraving. It was in that elegant decorative technique that he found a way to express his unique artistic aptitudes at their highest level. 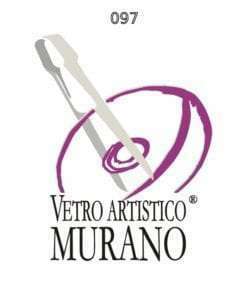 In 1927, at the age of 24, he founded his first company dedicated to artistic engraving on glass, what would later become the present day, “Artigianato Artistico Veneziano”. His brother Guglielmo, a founding partner of the renowned S.A.L.I.R., would also work for the company for several years as an engraver of notable talent. In 1929, only two years after first opening its doors, the company would earn the first prize Gold Medal at Florence’s fair for craftsmanship, ‘Esposizione Mostra Campionaria’. With Nicolò and Guglielmo, the Barbini family would go back to creating Venetian mirrors after a moment of standstill that lasted nearly a century. In 1940, together with their brother-in-law ‘Memi’ (Guglielmo), they would found the company “Barbini e Longega specchi veneziani artistici incisi”, the present-day “Domus vetri artistici”, which would earn itself far-reaching public acclaim, especially thanks to Nicolò’s skillful craftsmanship and artistic imagination. On December 28, 1942 Nicolò married Terersa Barovier, a member of one of Murano’s most celebrated glass-making families, daughter of Napoleone Barovier, famous master glassmaker, a descendant of Angelo Barovier. 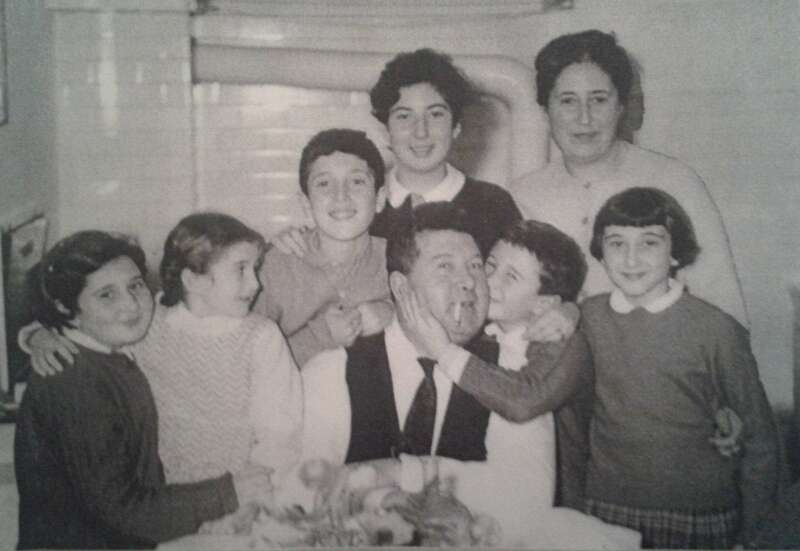 Together, they had six children: Maria Annunciata, Vincenzo, Margherita, Lucia, Giovanni and Annamaria. In 1960, Nicolò inaugurated “Artigianato Artistico Veneziano”, a company specialized in the production of modern Venetian mirrors and the reproduction and/or restoration of ancient mirrors. He shared the secrets of the trade with his sons Vincenzo and Giovanni, initiating them into the age-old art of mirror-making. Throughout the course of his life, Nicolò cultivated numerous sincere friendships with glass masters, designers and local artists. A few examples of these include his relationship with Dino Martens, Aldo Radi, Anzolo Fuga and partiuclarly Ermanno Toso (known as Nino cagni), the designer and artistic director for the renowned company F.lli Toso. Generosity, affability and a deep sense of faith were all distinctive traits of his personality and these values characterized him as both a man and as an artist. Together with his brother Guglielmo, Nicolò can be credited with having re-launched the production of Venetian mirrors, an all-but-forgotten art at the beginning of the 1900s. They re-proposed a classic style, reinterpreted in light of their mastery and matchless technical ability. Nicolò died on February 17, 1985, at the age of 82, after having witnessed the birth of eight of his twenty-two future grandchildren.